Investing in a new set of quality tires can save you while you are driving on the road. Visit H & H Tire & Service in Frankfort, Kentucky, and take advantage of all of our high-quality tire services. 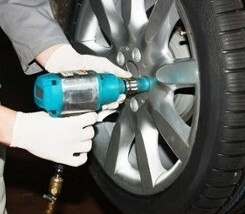 As part of our automotive services package, we take care of your tires. Choose our tire service company to solve your tire problems. We offer free lifetime tire rotation. Count on us to balance your tires, repair slow leaks, and replace faulty valve stems. Contact us today in Frankfort, Kentucky, and let our technicians handle all of your tire service needs.